Wear What You Make - Building a Handmade Wardrobe pt 1. Over the last couple of months of using Instagram regularly I've noticed something. I feel happier and relaxed when I wear something I have made. And so my thoughts turn towards the fabric stash and wanting to make things that will continue to make me happier and more relaxed. Reader, I bought a sewing pattern with a view to make some wardrobe basics that'll keep me as happy as my knitted items. But what about knitting? 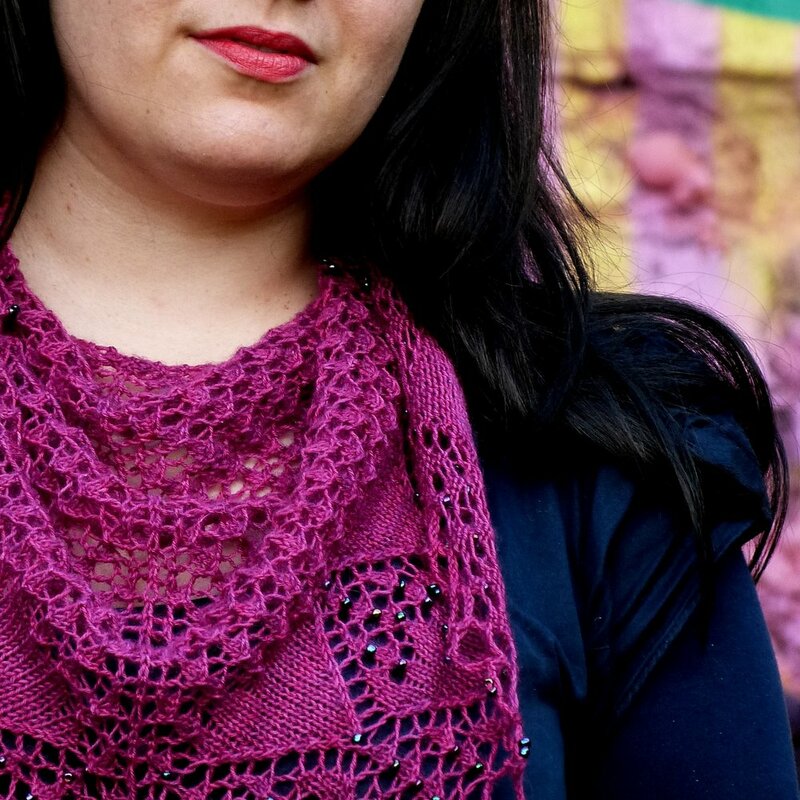 Knitting is my first love and I am so lucky that I get to design what I want to wear - and share it with everyone! Wearing what I make is the best feeling (and I've started using #wearwhatyoumake as my own personal hashtag to track my handmade wardrobe adventure) and it's something I'm thinking hard about for 2016 too. Simply put: I want what I design & make to be easily integrated into an everyday wardrobe. I recently spent some time going through my clothes. It's a good exercise that keeps me aware of what I own, what I treasure, and what I keep wearing. I do this semi-frequently and I always learn something from doing it. Colours lean towards teal, navy, mustard, and deep cool reds. Neutrals are navy blue and brown. I tend to wear dresses more than anything. I wear the denim, skirts and the cord skirts most. Pencil skirts get most wear. I own two pairs of trousers (1 pair of jeans, one linen) which I rarely wear. Three cardigans get most wear: the Stevie Cardigan (knitted in navy Rowan Wool Cotton) is beginning to show wear & tear; my brilliant Scollay cardigan; and the mustard yellow Hetty cardigan which goes with everything. I still wear shawls but I have grown fond of very big shawls recently - I tend to wear Proserpine, Fika (currently floating around Britain as a sample - I miss it), Swale and Kirkja (it's smaller but mustard yellow). I shy away from cute patterns (owls, deer, moustaches) but love geometric patterns. Mostly I like to wear things made from plain fabrics. I love bold colour combinations. I need more cropped cardigans. I need another navy cardigan and another mustard yellow cardigan. And a brown cardigan. And a teal one. I need to add pockets to skirts & dresses. Pockets are brilliant, yet rarely appear in high street women's wear. I need to make myself more skirts (I've said this every year since 1989 or thereabouts). Obviously there are problems surrounding a handmade wardrobe: slow fashion takes time, money, and skill. I am privileged because I can devote time to building a handmade wardrobe (and can justify it by calling it work). Not everybody can do that and that is okay. A good place to start is to wear what you make (and think about whether you'll wear what you are making) - but that is something I'll explore in the next instalment! Newer PostDiscover What You Wear - Building A Handmade Wardrobe, pt 2.